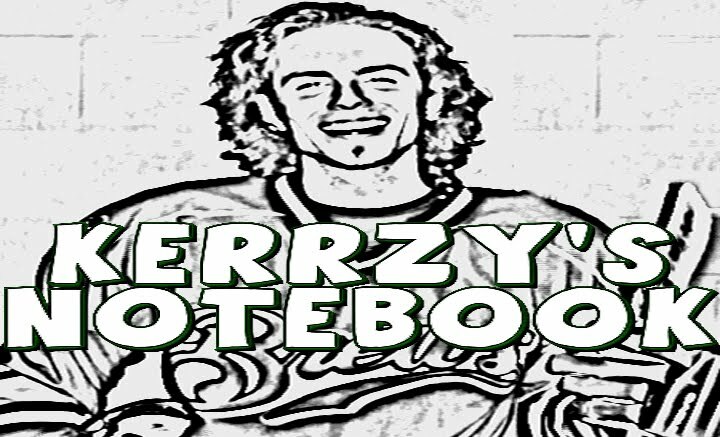 It’s time to debut a new feature here on Kerrzy’s Notebook: “The Wednesday Worsts” – a nod to the crummy side of sports! Too often in sports it’s the highlights that tend to hog most of the attention, but I’m here to give a bit of press to the cringe-worthy aspects of the games we all love! I’m talking about the horrid own goals, the cheap shots you have to watch twice and the losing streaks that are so long you hope they continue, just so they set some kind of record! The M’s managed just one run in an 8-1 defeat at the hands of the NY Yankees on Tuesday night, giving them 17 straight losses coming into Wednesday’s action! Just how bad is that streak? Well, the American League record is 21 straight losses, held by the 1988 Orioles, and the 1961 Phillies set the MLB mark with 26 in a row! Can they do it? I hope so…if you’re going to tank as hard as they already have, you may as well tank the hardest, right? Do you really want to go through all that pain just to be the “almost” worst team ever? The goalie for Brazilian U-20 soccer team Sport Recife delivered what is probably the most intense cheap shot of the year after a game against Vasco de Gama on Monday. Players from both teams started to push and shove a bit, before Gustavo delivered a little bit of Cleat Justice! Nothing says “Excuse me sir, I disagree with your world views,” like a flying jump kick to the back of the skull. According to The Fiver, Gustavo has since been let go from the club “because of his rampant attitude.” I wonder if anyone got jump kicked after that news was delivered! Is this guy the Brazilian Chuck Norris? Oh boy. 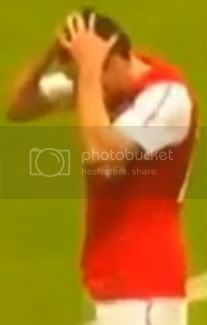 He’s lucky that A) His team still won, and B) It was a meaningless game! Worst Promotion: It looks like the Baltimore Orioles will be holding a “bobblehead night” for a player who is currently in the minor leagues on August 6th. They’ll be handing out Brian Matsuz bobbleheads that night, but he is 0-3 in the minors with a 4.73 ERA at the moment and there is no timetable for his return. The worst part is, this happened to the team last year too! Worst End to a Great Game: It sounds like the home plate umpire totally blew it on Tuesday night in what was a marathon game between the Pittsburgh Pirates and the Atlanta Braves. In the bottom of the 19th inning, Julio Lugo was called safe at home plate for the winning run…despite clearly being tagged out by Michael McKenry. Worst Blog Feature: The Wednesday Worsts. What a silly idea. I hope it’s just a one-off!